Back in 2010 I named a small place in the Carroll Gardens section of Brooklyn named Lucali as one of the 10 best pizzerias in the county. You can read about the list here. I haven't been back up those ways for a while, so I wasn't sure how the place was doing. After hearing the owner was stabbed I thought that they perhaps would close. This wasn't the case. 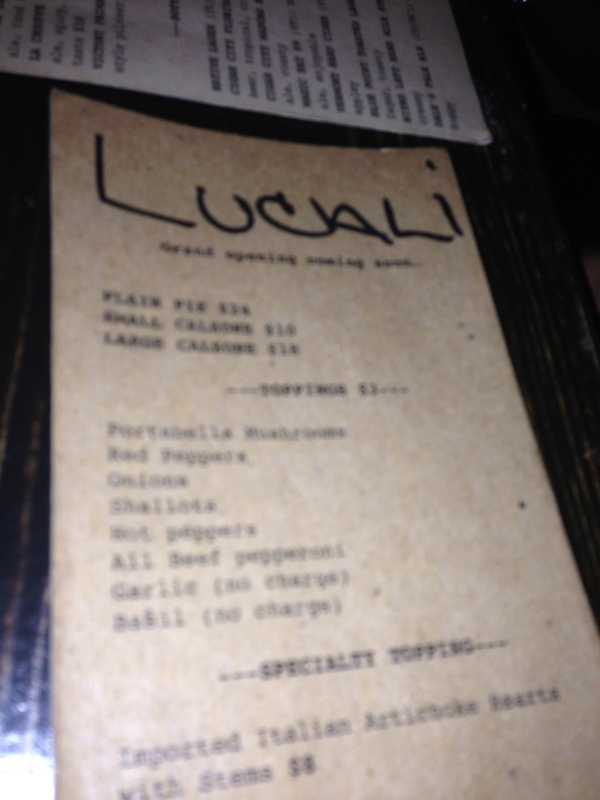 Lucali was actually busy scoping out a new location in the quickly hip Sunset Harbor area of Miami Beach. Lucali in Miami beach seats plenty more than that of the original one in Brooklyn which contains about 10 tables, if I recall correctly. After finding parking in the municipal garage next door, I made my way down, walked around the block and walked inside an overly dim pizzeria. My friend Uli ultimately arrived and the sweet hostess showed us to our table. Although this was a Friday night, Lucali still had quite a few tables left open. The location in Brooklyn always seemed packed. Readers of the site sent in emails telling me that they waited an hour for a table, but this wasn't the case on the weekend evening we went. Our waiter appeared more like a customer and with the dark ambiance it was hard to tell he was actually the one who would take our order. He had a black t-shirt on with blue jeans, so we really had no idea if he was a patron, busboy, or server. We gave him our drink order anyways, and chatted for a while about the decor. The menu here is very limited. Outside of Pizza, Calzones and Salads, you are pretty much out of luck. Sorry about the blurry photo but it was the only one I got. When the same guy who took the drink order returned and asked us if we were ready, it became evident he was in fact our waiter for the evening. We decided on a plain pie with no basil but then Uli got some toppings on his half and requested basil. I should have put my foot down, but he is such a nice guy so I wanted him to have his way. 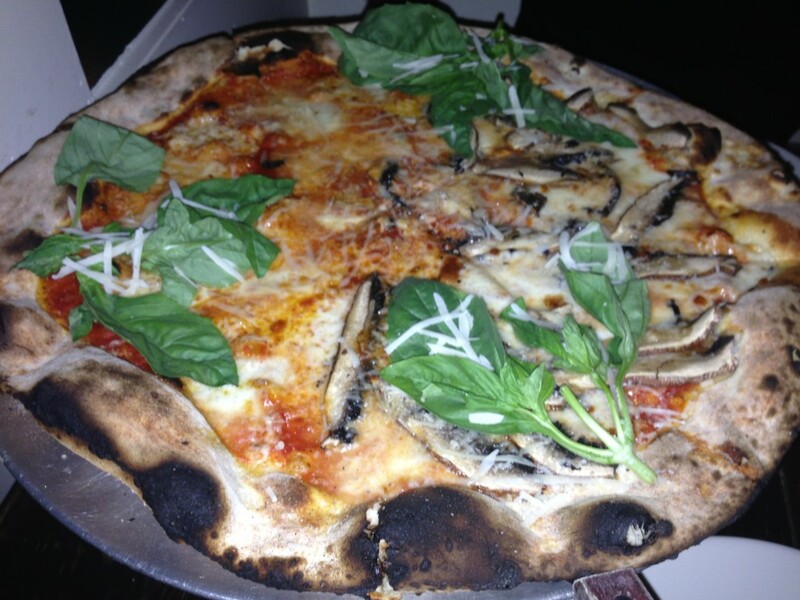 At $24 for a basic plain pie at Lucali, it is no bargain. This is definitely not the pizza to take your son and his friends to on a birthday party. With that being said, it is a nice intimate place to take a date though. When the pizza came out I had mixed feelings. First of all, they did not properly separate the toppings. 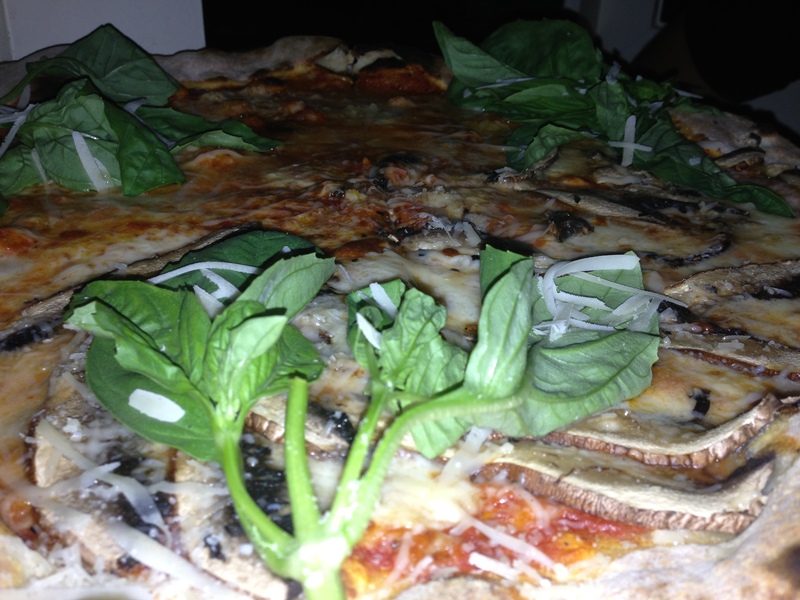 Second of all, they didn't listen to me when I said no basil on my half. Third of all this pizza contained way too much outer crust. Forth of all, the pizza maker cut the pie completely unevenly so I really was only able to enjoy 2-3.5 slices. Not a good start as you can see. 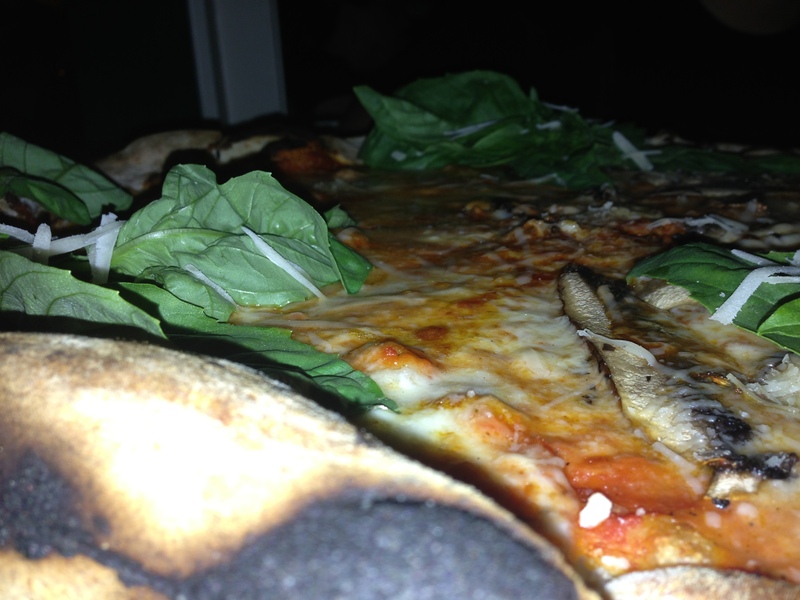 When I lifted the pizza I expected it to hold up a little bit firmer since it is cracker thin and cooked pretty well down in a wood oven. At 20 inches it should have held up a bit better. I was kind of surprised that Lucali only offers 20 inch pizzas at this location, since they have individual pies at their original Carroll Gardens joint. After taking the first bite, I quickly forgot about all the errors that came with my first impression. The pizza was delicious. 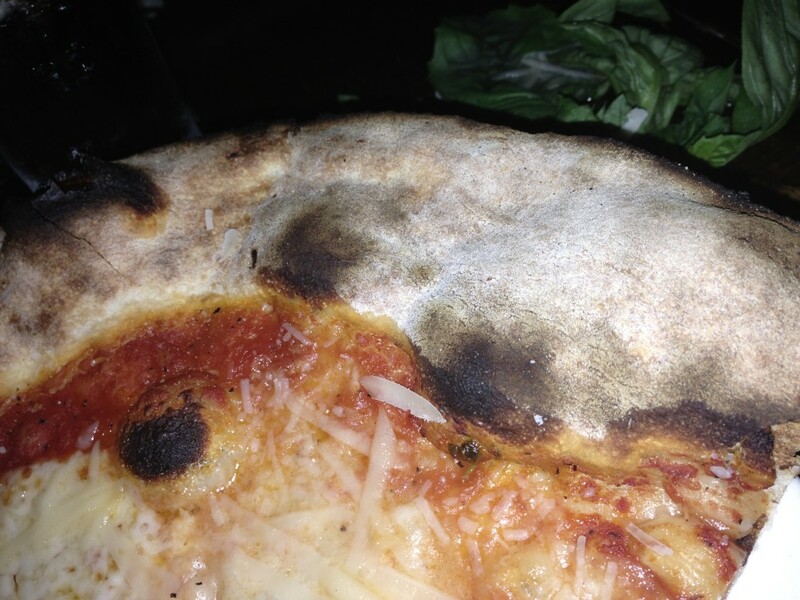 The crust had a fantastic texture, with ridges and crevices even. The slice wasn't too heavy but it had the perfect amount of fresh homemade sauce with Italian tomatoes with layers of low-moisture mozz, buffalo mozz, and Parmigiano-Reggiano cheese. All this and even a fruitful olive oil taste on top. There is no doubt that Lucali is one of the better tasting pizzas I have had in Miami. If I lived in South Beach and wanted an upscale pizza place to go to, this would be my regular place. 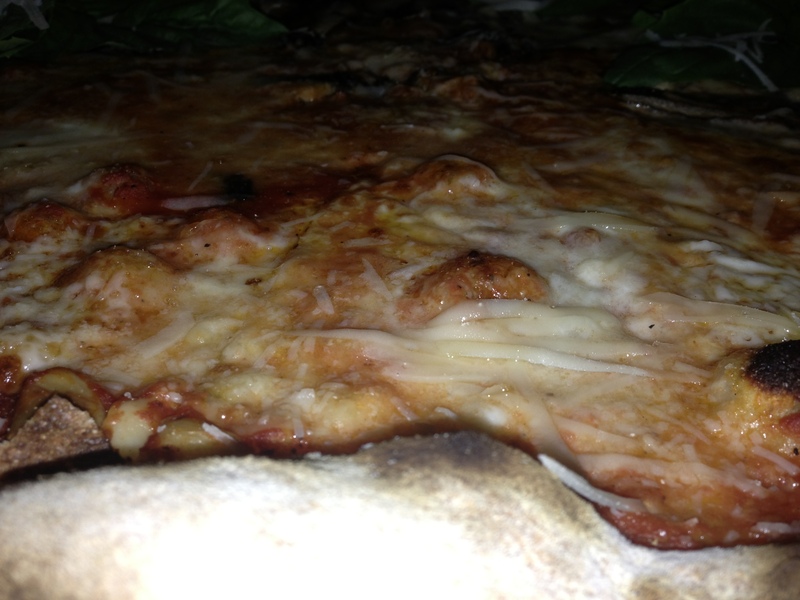 Outside of too much crust and the other issues I encountered, this pizza was easily a 7 out of 8. 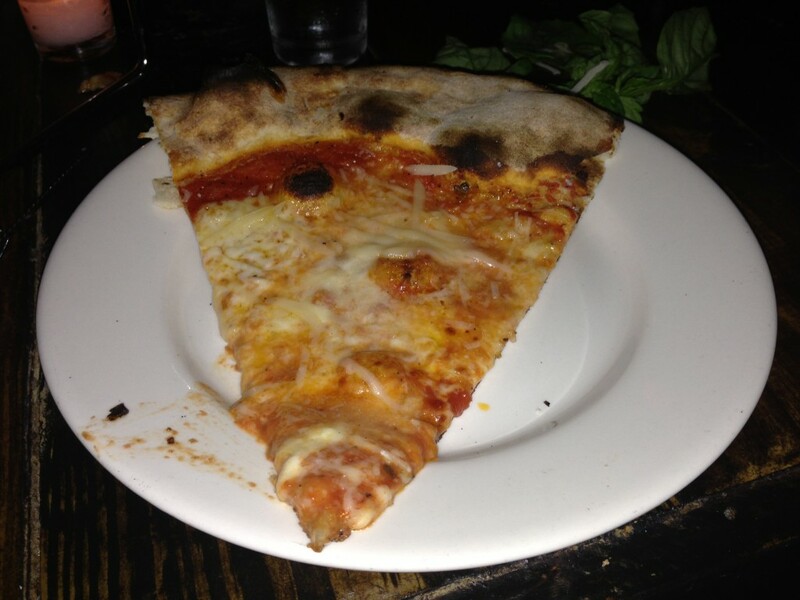 But coupled with all the errors, I am unfortunately going to have to only give Lucali Pizza in Miami Beach 6 out of 8 slices.